Author Surname & Category Pages Beginning A. Authors, Surnames beginning A. Category Pages Beginning A.
Aitken, James (Ed.) 'English Diaries of the XVI, XVII and XVIII Centuries'. Pelican, 1941, 160pp. Allingham, Margery. 'Hide My Eyes' published in 1961 in Great Britain by Penguin Books in their green and white design Penguin Crime series: #1476, 223pp, no ISBN. Ambler, Eric. 'Journey Into Fear'. Hardback, 224pp. 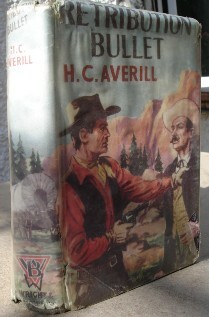 Published in 1944 by Hodder and Stoughton Limited, London. Condition: Acceptable to good condition-wholly intact & readable, with no dustjacket. Orangey colour hardcover, cloth. Some discoloured marks to the exterior. 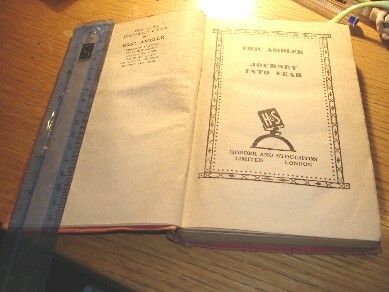 Internally the previous owner has stuck their name just inside the cover (no effect on readability). Internal pages suffer from some mild tanning due to age. Condition: Acceptable to good with similar condition dustjacket (protected by plastic sleeve, but with small rips.